Poster produced for British Rail (BR) to promote overnight Inter-city Sealink services to Europe. The night ferry to Paris and Brusels operated every night. 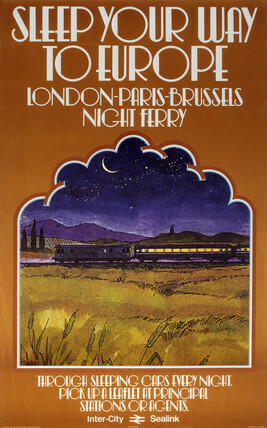 The poster is illustrated by an illuminated train travelling along under the night sky. Artwork by an unknown artist.